Since I have been floating around in the world of fly tying for almost three decades now, one should think there is not much more to discover. But to me fly tying is an artform, and art always evolves. I know a lot of highly skilled people in the fly tying community,but every once in a while one discovers some amazing and extremely skilled tyers. Through a fly tying page on FB I have gotten to know the creations of this truly amazing artist. Sergio Rene Cordoba is based in the beautiful country of Argentina. 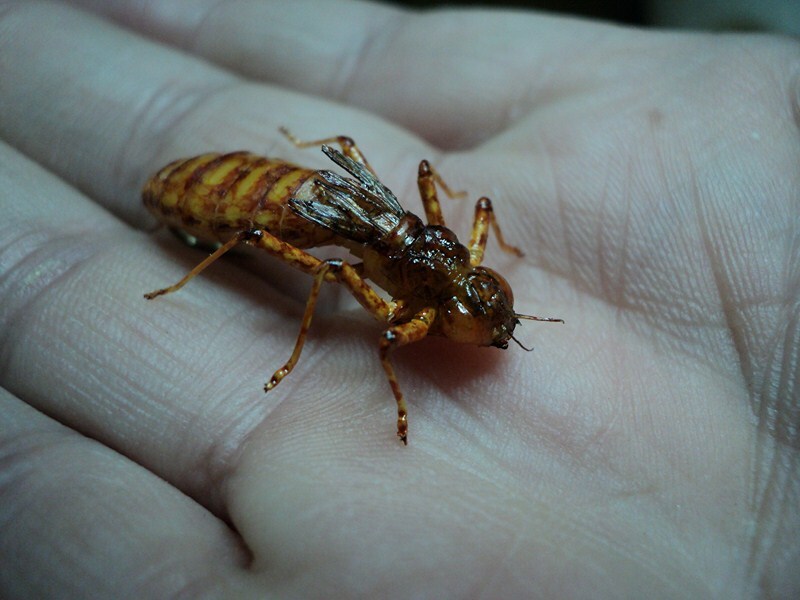 I am sure a lot of you already know his flies and that his photos and flies leaves you breathless everytime. If some of you are not familiar with his works of art, then you are truly in for a treat. 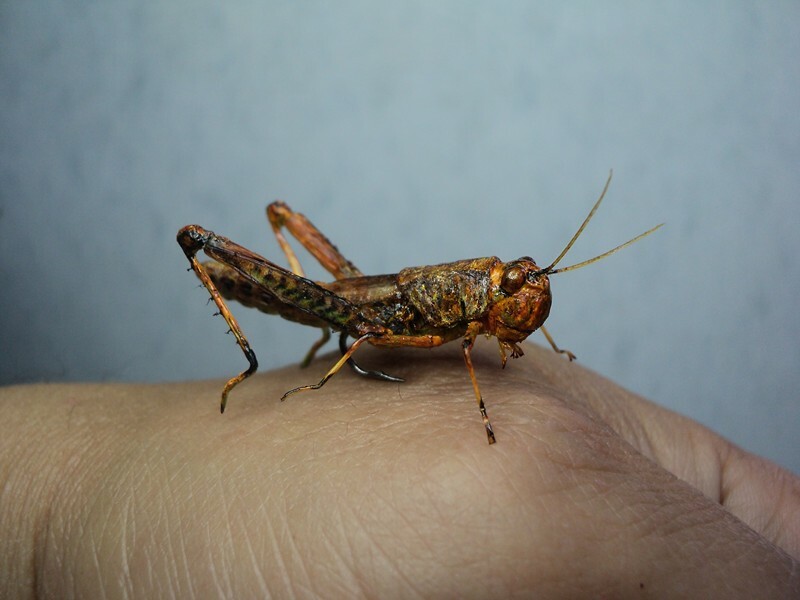 Sergio Rene Cordoba is a genuine artist and totally dedicated to creating realistic imitations of winged insects. Personally I am often lost for words when trying to describe his flies. These are some of the finest and most mind blowing flies I have ever come across. 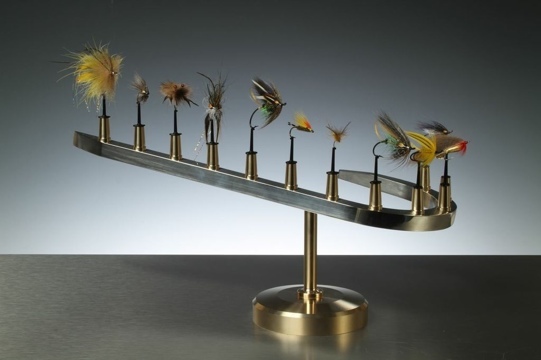 Fly tyers as well as other people will be amazed and impressed by his creations. That is why I wanted to post this. Sergio was kind enough to send me these photos for the use in this post. Please respect the artist,the art and copyright and always give credit to any artist. 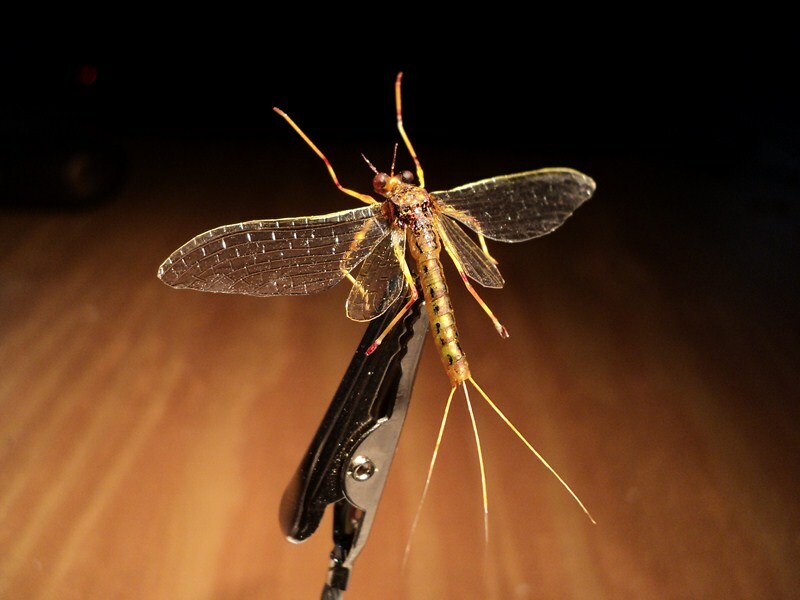 Sergio deserves all the attention he can get as he takes fly tying to a new level…Enjoy! 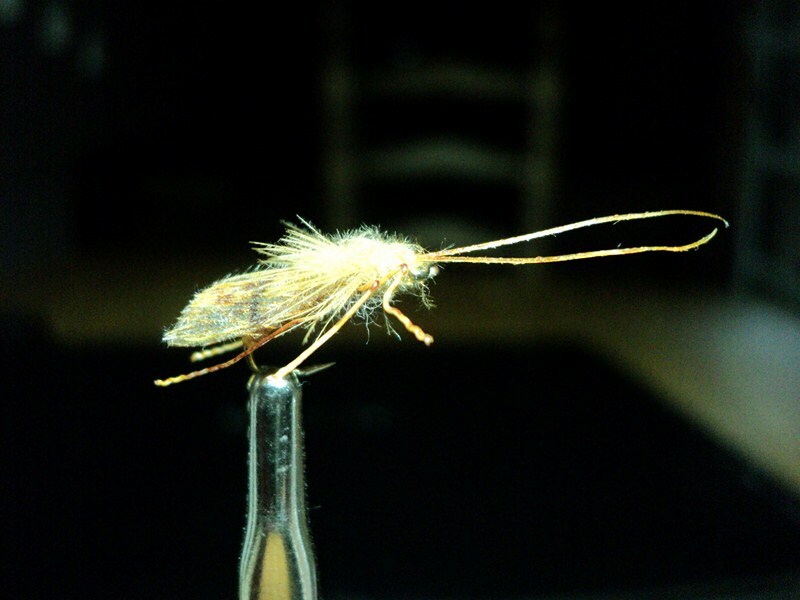 For a minute there I forgot this was a fly tying blog, not a review of L.Reed´s classic. I am really a very priviliged person. I know a lot of very creative people. I have mentioned one of them before, Kjell Karlsen, in my previous posts. He is as mentioned before a highly skilled metal worker besides being an avid fly fisherman. He has the advantage of being able to create his own tying tools when he finds something needs to be improved. He sent these photos today which is the results of his latest ideas. These are unique tools, they´re not in any way mass produced. The small white trays is made of teflon. It is put to good use when using UV-resin. Sometimes it´s better to apply the resin with a needle. These trays is a “safe-spot” for resin and they are easy to clean afterwards. Makes sense, doesn´t it? You know, sheets or pieces of paper with glue on it, hairs, feathers, cdc, marabou and deer hair… The epoxy-era is gone and besides, these looks very nice and clean. This makes “the others” think you´re a very organized person. I feel the fly tyer is often like a knight in the service of chaos, so every gadget that can give an impression of order and structure is a plus. Well, some of us do…I will post a picture of my tying bench soon, then you´ll understand what I mean. The dubbing needles are sharp but has a flat point. This makes it much easier to split any kind of thread when making dubbing loops. Anyway I think they look very nice and most of all are practical tools. The dubing twister is simple, but it it has a good grip. It is made with a strong and durable spring and with enough weight to spin properly. Remember, Kjell does this in his spare time and runs no kind of shop. He might produce and sell some But if any of you wants to contact him, contact me. Barry Ord Clarke is not only a brilliant photographer, he is also an excellent fly tyer. This is his new fly display. The display is made and designed by Kjell Karlsen. 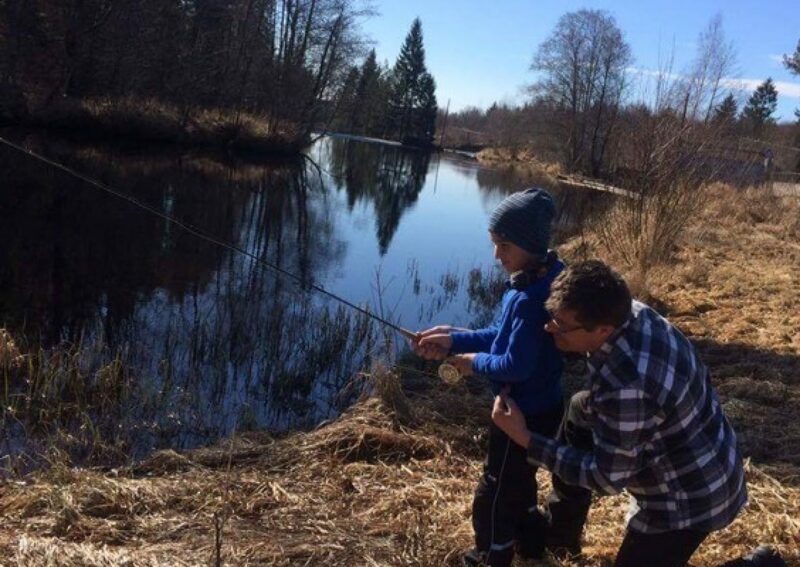 He is a brilliant metal worker as well as a skilled fly fisherman. The display is produced in polished aluminium and brass. It is designed as a floating shark hook. I think it is absolutely beautiful. 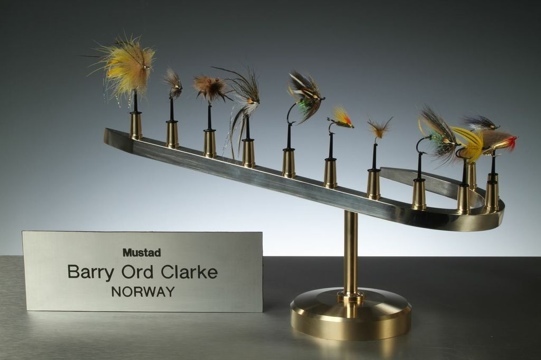 If you have the chance to see Barry at a fly fair or a show somewhere you can also admire the work of Kjell. Fantastic work,guys!